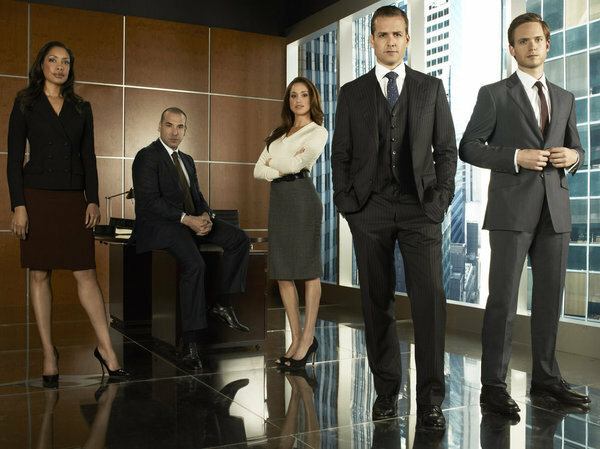 Suits, the USA Network show (Thursday at 10:00), deputed it’s second season this week. It’s promises to be as good as last year and then some. I think it’s fair to say that this show has better scripts and acting than Mad Men. It certainly does more interesting things with the law than Mad Men does with advertising. This scene will show you how Mike got this job. He is chased into an interview room by men looking for the pot in his briefcase. And so a new life, and show, begins. CLICK HERE. This entry was posted in Uncategorized and tagged Aaron Korsh, casting, Chevy Chen, David Bartis, Doug Liman, Gavin Barclay, Gene Klein, Igor Srubshchik, Jon Cowan, Mad Men, Nathan Perkins, Rachel Rose Oginsky, Suits, USA Network on June 16, 2012 by Grant. > better scripts and acting than Mad Men. That’s powerful stuff. Man Men has a lot of clever and subtle insights. Grant: Ask any lawyer to watch an episode and he’ll choke on his single malt. There’s a lot of interesting drama but it in no way resembles real lawyering. Mad Men may fetish authenticity, but at least it conveys the business accurately and with nuance. Is it possible that the producers are really smart for filming a scene in a bookstore that just happens to have “Plentitude 2.0” visible in the background? the show is no where near what real lawyers have to deal with. lot of drama in the sitcom but not even close to reality. I’m sure this is true. Suits is as improbable and hyperbolic rendering of the law as Mad Men is of the ad world. But then would we watch several seasons of a documentary? of the process, from initial pitch to final campaign, from viewing MM. If i am honest not a lot of sitcoms from the US take my fancy, however this intelligently written show is a must. I am so looking forward to the third series next year. Ciao from the UK.